Octal Sound is excited to bring you our Octal Sound Selects Vol. 18! We got three new songs for you to vibe out to. We kick things off by bringing you ‘Tides’, a collaboration between our own artist Crywolf and Skrux. These two work excellent together, creating a spacey atmosphere that drops into a heavy wave. It’s easy to say that this song takes you on a journey. The next track is the newest drop by Khai, with Gold Dash on the production. Khai continues to kill it with his soft floaty vocals, while Gold Dash throws in a new vibe to his music. The build up and drop at the end will have you wishing you were dancing your face off at a festival. The last track is a Yako remix. Yako takes the original song and brings a tropical vibe to it, making you want to be at the beach sipping on a drink. 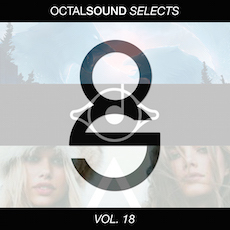 You can download all of these songs for free HERE and be sure to stay tuned for more Octal Sound Selects.